Maybe you’ve bought a new home and want to put your personal stamp on the kitchens and bathrooms. Maybe you’ve owned your home for many years but are selling it and want to increase its value on the open market. 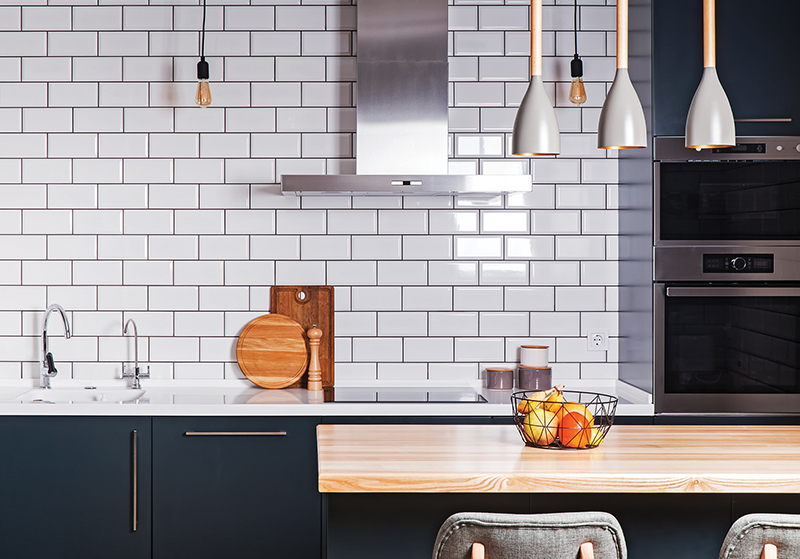 Whatever your reasons for wanting to renovate your kitchens or bathrooms, there are a number of helpful tips to consider before you embark on the project. You may visions in your head of how beautiful the end result will look, but remember that looks aren’t everything. Experts agree that while aesthetics are important in bathrooms and kitchens, homeowners should keep in mind that they need to be able to use these areas on a daily basis. “Function is everything in these spaces,” said Claire Lewis, owner of Claire Lewis Designs. How do you keep things functional? Make sure that all appliances are installed in places that are easy to get to and allow for comfortable movement. Randy Shaw, president of Nordic Kitchens & Baths, said some people try to force too much into a small space. You should be able to open appliance doors fully and be able to move past them even when they are open. You should be able to open different appliance and cabinet doors simultaneously. Lewis recommended that homeowners keep cleaning and maintenance in mind when installing kitchens and bathrooms. For example, open shelving in kitchens may look pretty, but they gather dust too easily. If counter surfaces have lots of ridges, they will readily collect grease, crumbs and dust, which will be hard to dig out of the ridges. “People need to choose materials that will both stand up to daily use and also be easy to clean,” Lewis said. While no one should mindlessly follow any crowd in home renovations or in life, it is useful to keep tabs on popular trends. Shaw said many homeowners are now electing to install a freestanding shower instead of a tub in spare bathrooms. People are not doing away with tubs entirely, but in homes with second and third full baths, they are opting to save money by eliminating extra tubs. For kitchens, Shaw said that double oven and combi-steam ovens are growing in popularity. Why would you need two ovens? It may be superfluous is you are an introverted bachelor, but if you are entertaining people for the holidays or other parties, sometimes one oven will not suffice. Lewis said she sees lots of people opt for natural wood in kitchens. It adds warmth to a room and makes cabinets look more like furniture. Many people are also choosing to do away with handles or knobs on drawers. Instead, there is simply a notch cut into the drawer that people can use to open it. An all-too-common mistake homeowners make is to try to do too much on their own. Some people try to handle subcontracting duties themselves. They may find a cheaper price initially, but they will pay for it in headaches down the road. “Contractors have good relationships with their subcontractors. They know that their subcontractors are tried and true,” Shaw said. “There are a lot of unlicensed contractors and subcontractors on the market right now.” Lewis advised homeowners to take their time. Kitchen and bath renovation should not be a sprint. Create a budget for yourself ahead of time and seek out multiple bids from different contractors. Set a reasonable timeline. People who are in a hurry or who don’t want to do their homework are more likely to make mistakes. “When you start to get to a point where you want to rush everything, you’re going to end up paying more,” Lewis said. For information on pricing trends, Remodeling Magazine released its cost versus value report in January 2018 (remodeling.hw.net/cost-vs-value/2018/).